I blogged about paratha many times before,this is just similar to my earlier parathas but just change in the main ingredients ie is using cauliflower and spring onions as stuffing in the paratha. 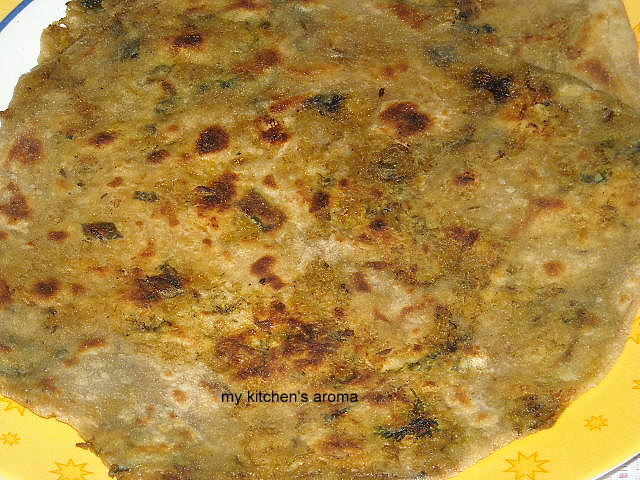 I can have this paratha anytime,delicious! wow, I can so eat it right now. Love the combo.